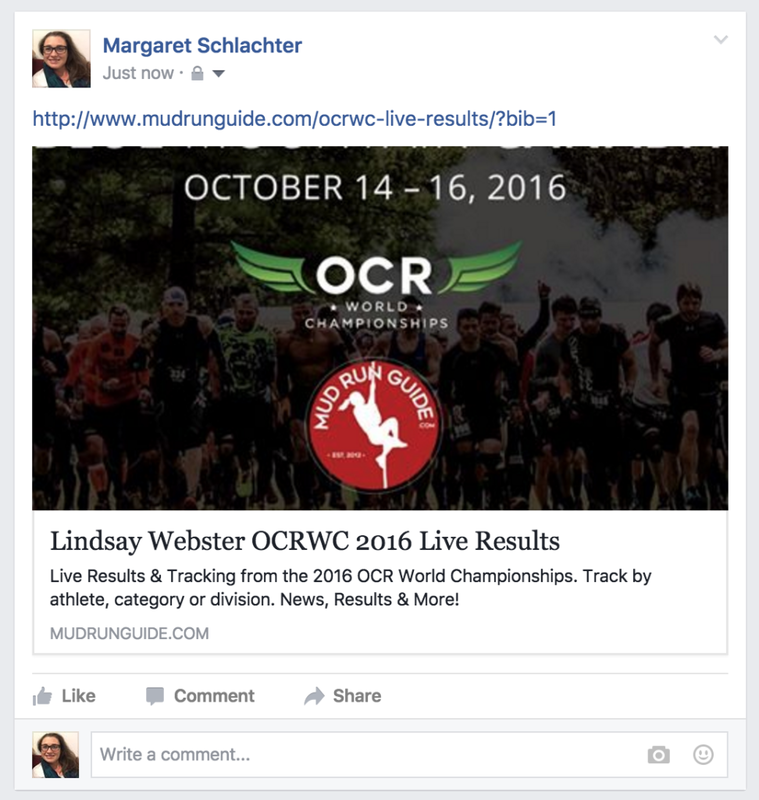 Mud Run Guide and J-Chip have been working together to help create the best athlete experience for those competing at the OCR World Championships on Saturday. Athletes will be able to share personalized tracking information to let friends and family follow along with all the action from home. Athlete Tracking on Mud Run Guide will allow those following the race to not only see the start and finish but also splits along the course. 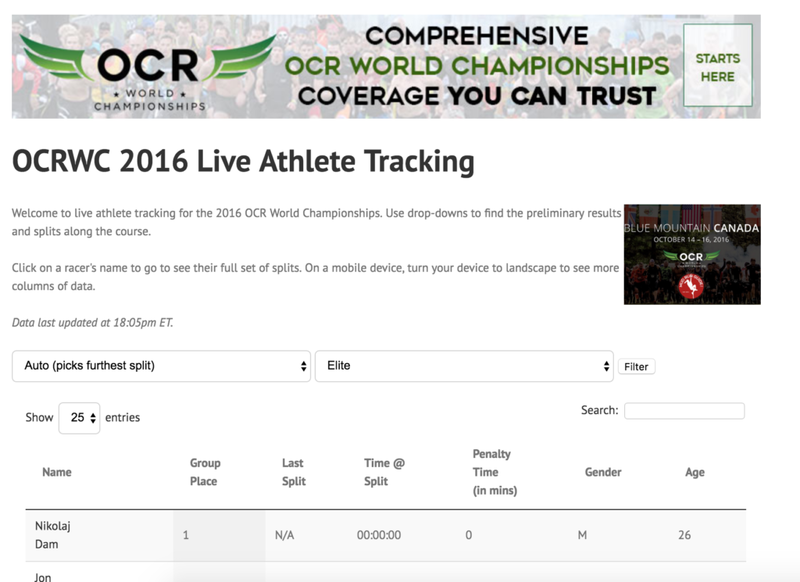 Tracking will be available for all athletes running on Saturday from Pro Division to Journeyman. Updates for the 3k Short Course will be available on Facebook Live, and other social media feeds as well as on Sunday for the Team Event. 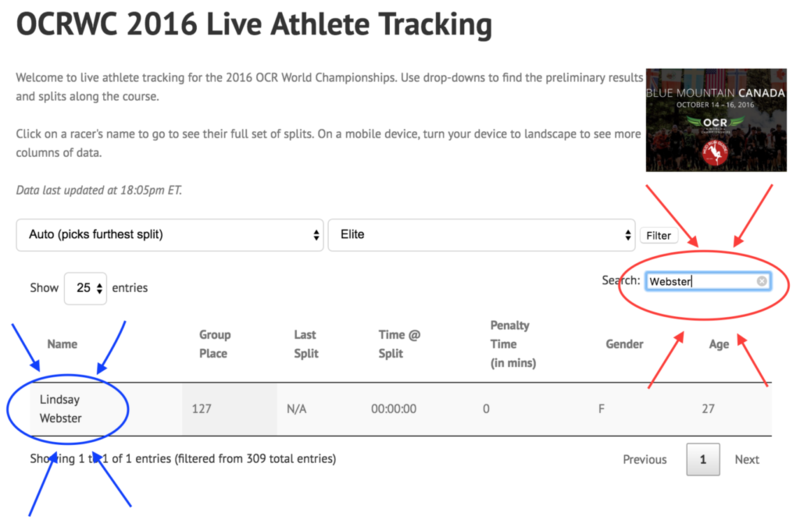 See below how to find your favorite athlete on the Athlete Tracking from Mud Run Guide and J-Chip. I’m not on the tracking list! Where are the splits on the course?